Cairo– Egyptian President Abdel Fattah el-Sisi issued on Wednesday a decree to establish a national council to combat terrorism and extremism and promote moderate religious discourse. Chaired by the Egyptian president, the new council will include Egypt’s Speaker Ali Abdel Aal, Prime Minister Sherif Ismail, Grand Imam of Al Azhar Sheikh Ahmed el-Tayeb, Pope of Alexandria Tawadros II, and the head of the General Intelligence Service, in addition to a number of ministers and public figures. It also says that the council is tasked with “the adoption of a comprehensive strategy to confront terrorism and extremism, on the internal and external levels” and proposes “to amend existing legislation to address the shortcomings of the procedures in order to overcome current legal obstacles”. The Council will set up “plans to create jobs opportunities in areas with high levels of extremism and to study the granting of soft loans to those who, through follow-up, demonstrate their abandonment of extremist ideology,” according to the decree. 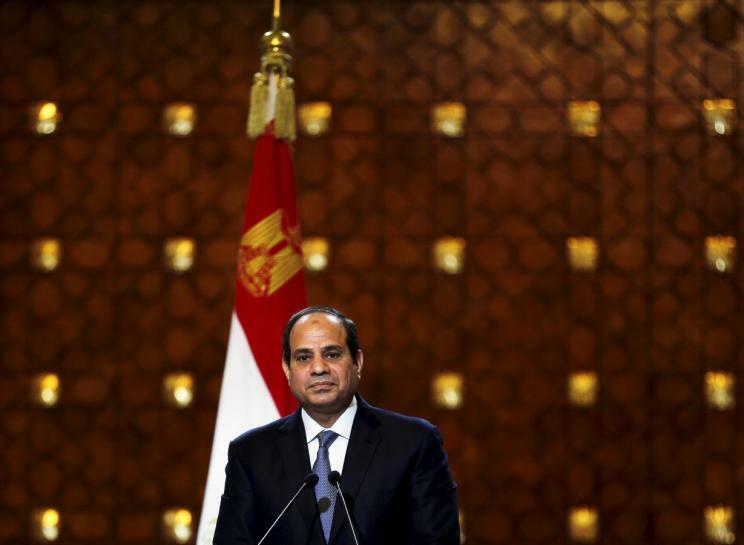 Earlier this month, the Egyptian president said that his country would show no tolerance with those funding terrorism. “Terrorism will not be eliminated unless countries that finance it are held accountable. It is impossible to tolerate those countries financing terrorism with billions of dollars, leading to the killing of our citizens, while boasting about the rights of brothers and neighbors,” Sisi said, during the inauguration of Mohamed Naguib military base, which is located at the western border with Libya. The ceremony was attended by an array of prominent Gulf and Arab figures, including Crown Prince of Abu Dhabi Sheikh Mohammed bin Zayed, Emir of Mecca Prince Khaled Al Faisal, Crown Prince of Bahrain Salman Bin Hamad Bin Isa Al Khalifah and Commander of the Libyan National Army General Khalifa Haftar.